The best way for a homeowner to keep their windows in shape is through routine cleaning and other maintenance work. Keeping your windows in the best working condition can help your home stay comfortable, energy-efficient, and visually appealing. 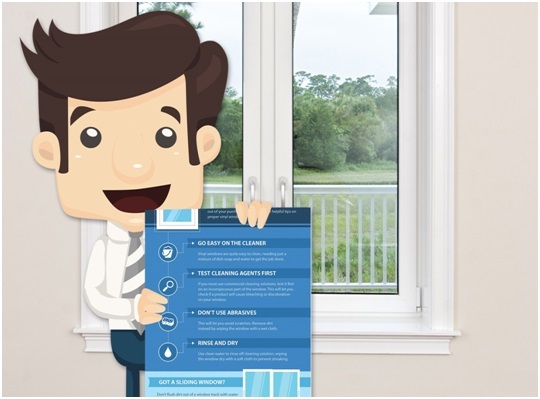 To assist you in doing so, Kroll Construction provides you with a few steps for keeping your vinyl windows in perfect shape. When using cleaner, you need the right mixture of soap and water. Vinyl is easy to clean and will only need a wash every now and then. If you’re going to use cleaning agents, make sure to test the solution first. This will allow you to assess if a certain product can discolor your windows. Don’t use any material with abrasives to wipe windows with. This can scratch your windows. Remove any dirt using a wet cloth instead. With clean water, rinse off the soap or cleaning solution with a dry soft cloth to prevent streaking. Are Your Windows Out of Shape? If you’re still using old wood windows or if your current windows are in really bad shape, you can trust in Kroll Construction to provide you with only the best Detroit, MI, wood window replacement. We want you to get the convenience of having windows that can help ensure your home remains comfortable and beautiful. We carry energy-efficient Alside vinyl windows that come in various styles and sizes. If you want to find out more about cleaning vinyl windows or vinyl windows in general, you can look at the full infographic here. Or you can give Kroll Construction a call today at (888) 338-6340. We’ll be more than happy to assist you with your window concerns.